Time Tracking is simple and efficiently in Mango Billing. If you are still using manual time sheets, you are wasting valuable time! Research shows that people who keep track of their time are more productive. Companies can, on average, recover $32,000 in billable time per professional. Employee time tracking means greater accountability on the job. This provides insight on how to improve their work. Greater awareness brings with it greater accountability. 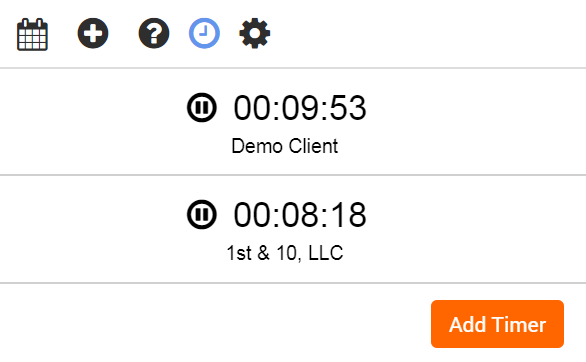 In Mango Billing there are 3 methods to effectively track time. When you are finished typing, simply click anywhere on the timer to Convert To Time Entry. This is the same dialog that can be popped up anywhere! This a great tool if you are working on the same client that will span over several days within the week. You can simply add time for any day of the week and click the memo icon to add a work description. Also a great way to the Total Hours worked by day of the week. Tracking time should not be difficult. 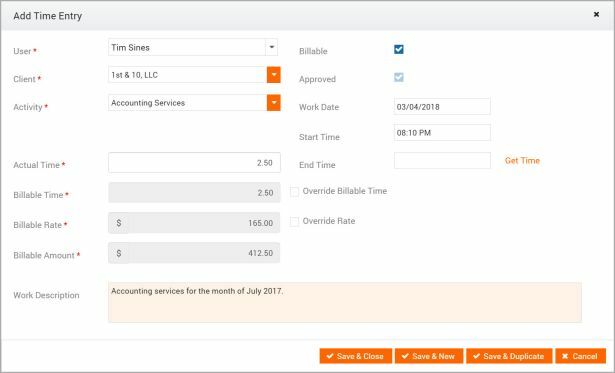 Mango Billing has the flexibility to track time the way you want. Accurately tracking time can is proven to increase productivity which will increase revenue.